The Bubbly Grapefruit Blossom cocktail, compliments of Diageo. One of my favorite things about spring time in the city is seeing how its multitude of restaurants welcome the warm weather. I love coming across a cafe owner rolling out a striped awning in the morning, extending seating out onto the sidewalk with neat rows of cafe tables and chairs. Waiters will brush elbows with pedestrians on the cramped walkways, but everyone understands that it's just not possible to stay inside! 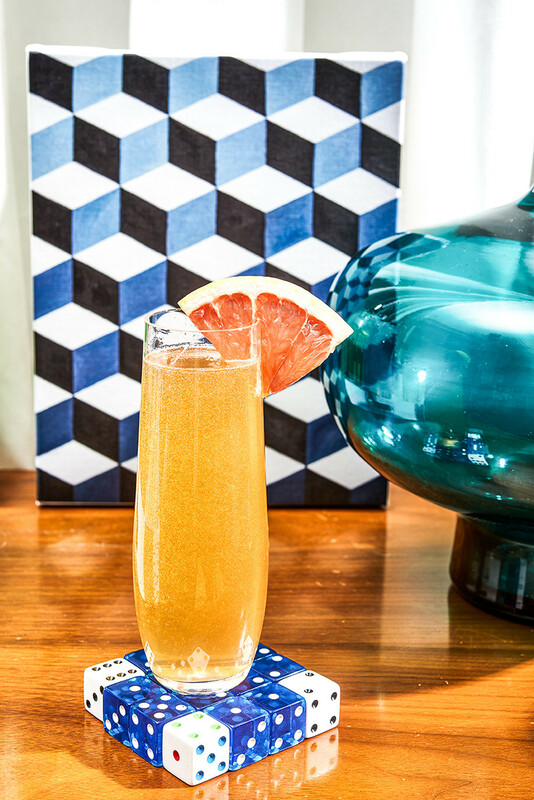 Here at Lonny, we're toasting the arrival of spring with a Bubbly Grapefruit Blossom. 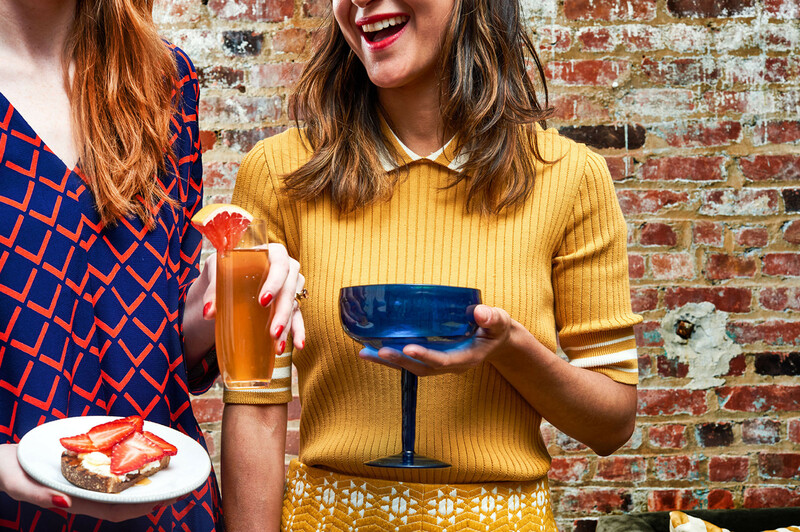 The beverage experts at Diageo shared the recipe with us for our recent brunch party, and it was so popular that I'll be stocking these ingredients on my bar cart all season long. The sweet vermouth and tangy fruit juice balances out the gin. Consider it an upgrade from the standard mimosa, with a more unexpected source of vitamin C.
Pour each ingredient, with the exception of the Prosecco, in to a shaker. Add ice, shake until chilled, strain into a flute and top with chilled Prosecco. Garnish with a grapefruit wedge.